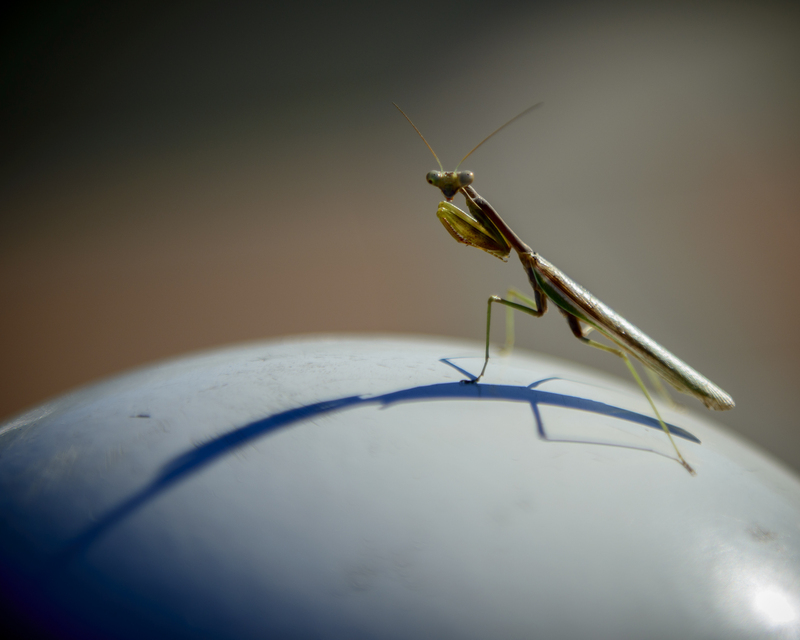 When I saw this praying mantis sitting atop one of the bollards in front of the Roseville Sports Center Sunday morning, I couldn’t resist taking some photos. I loved how the shadow enhanced the illusion that the mantis was hurrying someplace…late for church, perhaps? After all, it is a praying mantis. This entry was posted on October 14, 2015 by Carol Smith. It was filed under Uncategorized . Great shot and LOVE the gesture. This is your reward for always “schlepping” the camera around. Exactly what Connie said! I adore this shot!